The LIM domain only 4 (LMO4) protein is expressed in the hypothalamus, but its function there is not known. Using mice with LMO4 ablated in postnatal glutamatergic neurons, including most neurons of the paraventricular (PVN) and ventromedial (VMH) hypothalamic nuclei where LMO4 is expressed, we asked whether LMO4 is required for metabolic homeostasis. LMO4 mutant mice exhibited early onset adiposity. These mice had reduced energy expenditure and impaired thermogenesis together with reduced sympathetic outflow to adipose tissues. The peptide hormone leptin, produced from adipocytes, activates Jak/Stat3 signaling at the hypothalamus to control food intake, energy expenditure, and fat metabolism. Intracerebroventricular infusion of leptin suppressed feeding similarly in LMO4 mutant and control mice. However, leptin-induced fat loss was impaired and activation of Stat3 in the VMH was blunted in these mice. Thus, our study identifies LMO4 as a novel modulator of leptin function in selective hypothalamic nuclei to regulate fat metabolism. Obesity is a global pandemic associated with an increased risk of death from heart disease and stroke. Identifying genetic modifiers that contribute to obesity is therefore of considerable clinical interest. Discovery of the peptide hormone leptin  has led to a better understanding of the sophisticated system that regulates metabolism. Leptin is secreted from adipose tissue in a manner that is directly proportional to the degree of adiposity . By binding receptors on neurons of various hypothalamic nuclei, leptin works in a feedback loop to control food intake, energy expenditure, and fat stores. Leptin signaling in the arcuate nucleus (ARC) controls food intake by activating the anorexic POMC neurons , and mice deficient in leptin receptors are hyperphagic and obese . In addition, excitatory glutamatergic neurons from the VMH project to POMC neurons of the ARC to inhibit feeding . In the VMH, leptin also regulates energy homeostasis and fat metabolism [6, 7]. Leptin increases sympathetic adrenergic tone to adipose tissue and promotes lipolysis . Leptin increases parasympathetic tone that enhances the insulin-dependent inhibition of gluconeogenesis by the liver . The leptin receptor is a member of the type I cytokine receptor family including the IL-6 receptors. Leptin binds to its receptor and activates the Janus kinase (Jak) protein kinase that phosphorylates and engages the signal transducer and activator of transcription-3 (Stat3) pathway . Activation of Stat3, a transcription factor that modulates gene expression, is essential for leptin action in the hypothalamus . Factors that modulate Stat3 signaling in the hypothalamus would be expected to influence leptin signaling and metabolic homeostasis. The LIM domain only 4 (LMO4) protein is a cytoplasmic and nuclear cofactor that interacts with several signaling molecules and transcription factors to regulate gene expression [12, 13, 14, 15, 16, 17]. It also interacts with Jak and augments Stat3 signaling in hepatocytes . Our own work showed that LMO4 also contributes to Stat3 activation in neurons [12, 14]. Importantly, LMO4 is expressed in selected nuclei of the hypothalamus, including the VMH and PVN . Thus, given its function in Jak/Stat3 signaling, we asked whether LMO4 contributes to central leptin control of metabolic homeostasis. LMO4 is expressed in the central nervous system early during embryonic development  and germline ablation of LMO4 is lethal prior to birth . To circumvent this problem, we created mice in which LMO4 is selectively ablated in postmitotic glutamatergic neurons after birth. Since the majority of neurons of the VMH and PVN of the hypothalamus are glutamatergic [20, 21] and glutamatergic efferents from these two nuclei are important in regulating feeding and autonomic and neuroendocrine functions [5, 22, 23], these mice enabled us to address the importance of LMO4 in leptin signaling and hypothalamic control of metabolism. All procedures were approved by the animal care and use committee of the University of Ottawa. Animals were bred and maintained under a 12 h light and 12 h dark (1800–0600) cycle. Food (regular chow) and water were provided ad libitum unless specified. CamK2αCre/LMO4flox and LMO4flox littermate mice were genotyped and maintained on a CD-1 background as described . Mice were transferred to individual housing and habituated for 1 week. Daytime and nighttime food intake was calculated by averaging the food intake of each mouse over the 3 day experimental period. Six-month-old littermate male mice anesthetized by i.p. injection of ketamine/xylazine/acepromazine were scanned in pairs, and the images were acquired using a multichannel wrist coil adapted to the 3T GE MRI scanner. Two-month-old male mice were anesthetized. For acute perfusion, 1 μg/μl recombinant mouse leptin (Invitrogen, Cat #PMP0013) in sterile saline was stereotaxically infused (0.25 μl/min). For chronic infusion, an Alzet osmotic pump (Alzet, CA, USA; 1007D) was implanted subcutaneously and 10 μg leptin was infused (0.5 μl/h) over 7 days. Blood samples were collected between 1400 and 1600 h for plasma leptin determination using a mouse Leptin (Cat. # 90030) ELISA kit (Crystal Chem, IL, USA). Eight-week-old male mice received two intraperitoneal injections of dl-a-methyl-p-tyrosine (sigma) at time 0 (250 mg/kg, 25 mg/ml) and 2 h (125 mg/kg, 2.5 mg/ml). At 4 h time, tissues were harvested and NETO was determined as described . Mice were single-housed in metabolic chambers, oxygen consumption (VO2) and carbon dioxide production (VCO2) were measured for 24 h using an Oxymax system with automatic temperature and light controls (Columbus Instruments, Columbus, OH). Temperature was maintained at 24°C with 12 h light/dark cycle. Total RNA from hypothalamus was extracted for qPCR using Taq DNA polymerase/cyber green PCR mix. All mRNA levels were normalized to actin. qPCR primers used included: LMO4: 5′-GGACCGCTTTCTGCTCTATG-3′ 5′-AAGCACCGCTATTCCCAAAT-3′; ACC: 5′-AGCAGATCCGCAGCTTGGT-3′ 5′-ACTTCTGCTCGCTGGGTGG-3′; FAS: 5′-GCTGGCATTCGTGATGGAGTCGT-3′ 5′-AGGCCACCAGTGATGATGTAACTCT-3′; Hsl: 5′-GACTCACCGCTGACTTCCT-3′ 5′-CTGTCTCGTTGCGTTTGTAG-3′; Atgl: 5′-TGGGTGACCATCTACCTTCC-3′ 5′-CCCAGTGAGAGGTTGTTTCG-3′; actin: 5′-GCTTCTTTGCAGCTCCTTCG-3′ 5′-CCTTCTGACCCATTCCCACC-3′; FAAH: 5′-ATGTGGATAGCCTGGCATTGTG-3′ 5′-CTGGAGTGGGCATGGTGTAGTT-3′; UCP1: 5′-AAAGTCCGCCTTCAGATC-3′ 5′-AGTTTCGGCAATCTTCT-3′. In situ hybridization was performed as described  using 300 nucleotides of DIG-UTP-labeled LMO4 exon 2 anti-sense RNA probes. For pStat3 immunofluorescence, anti-phosphorylated Tyr705-Stat3 primary antibody (cell signaling technologies) were incubated for 48 h at 4°C and detected with biotin-conjugated secondary antibody followed by cy3-conjugated streptavidin. Western immunoblots were performed as described  using actin (sigma), Akt, and phosphorylated Ser473-Akt antibodies (cell signaling technologies). For cold challenge, mice were fasted 16 h and housed individually, without food and a minimum amount of cage bedding at 4°C for 4 h. Rectal temperature was measured. For non-shivering thermogenesis, mice at room temperature were anesthetized using a ketamine/xylazine, and rectal core temperature was measured. All results are expressed as mean ± SEM and analyzed using Statistical Package for the Social Sciences (SPSS). For between group comparisons, a two-tailed unpaired Student’s t test was used. Where appropriate, data were analyzed by ANOVA followed by LSD post hoc test to compare means between groups. P values of <0.05 were considered significant. LMO4 is expressed in the cortex, hippocampus, and hypothalamic nuclei including the PVN and VMH, but not the ARC (Fig. 1a–c). Although our model (Camk2αCre/LMO4flox) does not specifically target hypothalamic nuclei, the use of a Cre-transgene activated in the first post-natal week in glutamatergic neurons enabled ablation of LMO4 in the majority of neurons in the PVN and VMH [20, 21] as shown by in situ hybridization (Fig. 1d). We further confirmed that ablation of LMO4 was neural-specific by PCR amplification of genomic DNA extracted from various tissues (Fig. 1e). qPCR of hypothalamic RNA extracts showed a 90% reduction in LMO4 mRNA (Fig. 1f). The overt phenotype of this ablation was adult onset obesity (Fig. 1g). Male CamK2αCre/LMO4flox mice fed regular chow starting at 3 weeks of age at the time of weaning developed significant obesity between 3 and 4 months of age (Fig. 1h). Even though at 2 months of age there was no significant difference in body weights between CamK2αCre/LMO4flox mice and littermate controls, excess fat stores (adiposity) were detected (Fig. 2a). There was nearly twice the amount of gonadal white adipose tissue (gWAT) and interscapular brown adipose tissue (BAT) in mutant mice at 2 and 4 months of age (Fig. 2a, b). MRI scans showed the increased prevalence of visceral and subcutaneous adiposity at 4 months (Fig. 2c). qPCR revealed dysregulated lipogenic and lipolytic gene expression in white adipose tissue and liver of the mutant mice as early as 1 month of age (Fig. 2d, e). Increased lipid droplet deposits were prevalent in WAT and BAT at 4 months (Fig. 2f). Surprisingly, even though mutant mice had increased adiposity at 2 months of age, which would predict elevated leptin secretion, their plasma leptin levels were similar to littermate controls (Fig. 2g), and importantly, they were not hyperphagic at this age (Fig. 2h). To account for adiposity, the energy expenditure was compared at 2 months of age. Voluntary locomotor activity monitored by beam break was not different (Fig. 2i). However, whole-body oxygen consumption (VO2) measured by indirect calorimetry and adjusted to lean body mass  at 2 months was lower during the light phase in mutant mice (Fig. 2j), indicating reduced energy expenditure. No difference in fuel type utilization as determined by respiratory exchange rate (RER) was detected (Fig. 2k). By 4 months LMO4 mutant mice became hyperleptinemic (Fig. 2g) and hyperphagic, with signs of leptin resistance, i.e., the central leptin effect to suppress feeding behavior was lost and food intake was elevated by 50% (Fig. 2h). Reduced energy expenditure, together with the late-onset hyperphagia, likely contribute to the marked weight gain seen at this stage (Fig. 1h). Sympathetic neural activity is important to control fat metabolism, energy homeostasis, and heat production among other physiological processes [8, 27, 28]. To determine whether reduced metabolic activity and adiposity observed at the age of 2 months when food intake was not increased were associated with reduced sympathetic activity, we used two approaches to measure sympathetic activity. First, we measured body temperature in response to cold challenge as an index of sympathetic activity to BAT. Cold challenge is known to increase sympathetic activity to augment heat production and maintain body temperature . We observed impaired thermogenesis in CamK2αCre/LMO4flox mice when core temperatures was measured in conscious mice exposed to 4°C for 4 h (shivering and nonshivering BAT thermogenesis, Fig. 3a) or in anesthetized mice at room temperature (nonshivering BAT thermogenesis, Fig. 3b). In line with these observations, basal levels of thermogenic mitochondrial uncoupling protein 1 (UCP1) mRNA were reduced in BAT of LMO4 mutant mice (Fig. 3c). A second approach to measure sympathetic activity was the norepinephrine turnover (NETO) assay; an index of sympathetic activity to peripheral tissues that is extrapolated from the rate of decline in tissue NE content after inhibiting catecholamine synthesis. The NETO assay revealed a significantly lower sympathetic outflow to BAT and gWAT in LMO4 mutant mice compared to littermate controls (Fig. 3d). Together, these results provide compelling evidence that sympathetic outflow to adipose tissues was lower in LMO4 mutant mice. To test whether hypothalamic leptin signaling is affected by LMO4 ablation, leptin was injected into the cerebral ventricles and immunofluorescence was performed to compare phosphorylation of Stat3 in neurons of the VMH and ARC at 2 months of age, when endogenous plasma leptin levels are not different (see Fig. 2g). Markedly fewer phospho-Stat3-positive neurons were detected in the VMH of LMO4 mutant mice compared to littermate controls (Fig. 4a, c, e). In contrast, a similar number of phospho-Stat3-immunopositive neurons were detected in neurons in the ARC of littermate control and LMO4 mutant mice (Fig. 4b, d, e). Very few phospho-Stat3-immunopositive neurons were detected in the PVN (data not shown), consistent with the paucity of leptin-receptor-positive neurons in this nucleus . These results show that LMO4 is required for leptin-induced Stat3 activation in the VMH but not in the ARC. Hypothalamic leptin signaling causes weight loss by suppressing feeding and promoting lipolysis . Chronic icv leptin infusion over 7 days (Fig. 5a) at 2 months of age suppressed feeding to a similar extent in both LMO4 mutant and littermate control mice (Fig. 5b). However, leptin-induced weight and fat loss were less pronounced in LMO4 mutant mice (Fig. 5c, d). One of the ways leptin induces fat loss is by increasing sympathetic outflow to adipose tissue to increase thermogenesis and energy expenditure. Central leptin infusion upregulated UCP1 mRNA in BAT of littermate control mice but failed to do so in LMO4 mutant mice (Fig. 5e). Thus, reduced thermogenesis and energy expenditure in LMO4 mutant mice after chronic leptin infusion would result in less fat loss. In addition, leptin-induced elevation of sympathetic activity activates the expression of fatty acid amidohydrolase (FAAH) in adipose tissue, and this would also promote fat loss . FAAH is an enzyme that metabolizes the endogenous cannabinoid anandamide thereby preventing anandamide from activating CB1 receptors to promote lipogenesis . Consequently, elevated FAAH favors lipolysis . Chronic central leptin infusion increased FAAH expression in WAT of littermate control but not of LMO4 mutant mice, as revealed by qPCR (Fig. 5e). In line with this finding, expression of the lipogenic genes ACC and FAS was reduced in WAT of littermate control mice after leptin infusion, but not in LMO4 mutant mice (Fig. 5e). Taken together, these results demonstrate that LMO4 is important for hypothalamic leptin signaling to regulate fat metabolism. Our study identified LMO4 as a modulator of leptin signaling in the hypothalamus. Importantly, LMO4 is expressed in some, but not all, hypothalamic nuclei where leptin receptors are expressed . We found that LMO4 is expressed in the VMH but not in the ARC, and consistent with their predominant effects in regulating fat metabolism/energy expenditure and feeding , respectively, ablation of LMO4 in the VMH caused a primary defect in the central control of fat metabolism rather than feeding behavior. This regional-specific expression pattern of LMO4 enables selective regulation of physiological activities that are controlled by hypothalamic leptin signaling. Several lines of evidence support the requirement for LMO4 in modulating leptin signaling to control fat metabolism. First, leptin signaling phosphorylates and activates Stat3, but in the VMH of Camk2αCre/LMO4flox mice where LMO4 expression is ablated, leptin induced fewer phosphorylated-Stat3-immunopositive neurons compared to littermate control mice. Our finding that LMO4 is required for Jak/Stat3 signaling in VMH hypothalamic neurons is consistent with previous studies demonstrating that LMO4 participates in Jak/Stat3 signaling in hepatocytes  and in primary cortical neurons . In hepatocytes, LMO4 was found to interact with Jak2, and ablation of LMO4 with siRNA blunted Stat3 phosphorylation and activation in response to IL-6 cytokine stimulation . Thus, LMO4 modulation of Jak/Stat3 signaling is likely to be a general feature in tissues where LMO4 is expressed, including the VMH. Second, leptin signaling in the VMH activates sympathetic outflow to adipose tissue to promote fat metabolism by inhibiting lipogenesis and increasing energy expenditure [7, 8, 32, 33]. Consistent with reduced leptin signaling in the VMH, sympathetic outflow to the WAT and BAT was significantly lower in LMO4 mutant mice. As early as 1 month, there was a tenfold higher expression of lipogenesis genes in WAT of LMO4 mutant mice. In the mutant mice, the BAT thermogenic response to cold challenge was impaired, the expression of thermogenic mitochondrial uncoupling protein UCP1 was lower and fat droplets were larger in BAT, indicative of reduced fat combustion. The consequent impaired thermogenic response and reduced oxygen consumption would result in an energy surplus and increased fat stores. Indeed, increased adiposity was observed at 2 months, when no increase in food intake was detected. Thus, impaired central leptin signaling and consequently lower sympathetic outflow likely account for the early appearance of adiposity in LMO4 mutant mice. Third, fat loss induced by chronic central leptin infusion was impaired in LMO4 mutant mice. The anorexic response to central leptin administration, on the other hand, was relatively unaffected in LMO4 mutant mice. Unlike in the VMH, leptin induced a similar number of phospho-Stat3-positive neurons in the ARC, a key hypothalamic nucleus for feeding control. This result was not surprising since LMO4 is not expressed in the ARC. Taken together, these results highlight that the involvement of LMO4 in leptin-regulated neuroendocrine activities is highly selective, i.e. affecting fat metabolism rather than feeding suppression. 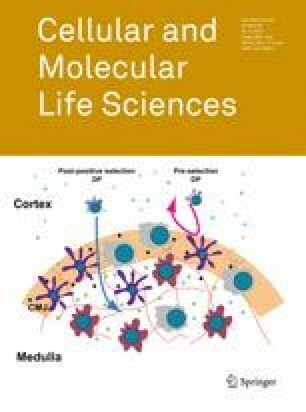 The phenotype of early increased adiposity without increased food intake observed in LMO4 mutant mice is reminiscent of mice with leptin receptors ablated in VMH neurons (SF1-Cre/Leprflox) [7, 34]. In these SF1-Cre/Leprflox mice, a significant expansion of both white and brown adipose compartments was noted, even when their weight and food intake  did not differ from WT mice, suggesting a defect in energy partitioning preferentially directing calories into fat rather than lean body mass . However, adiposity in our mice becomes more pronounced than in SF-1Cre/Leprflox mice. Several factors are likely to contribute to this phenotype. First, early reduced energy expenditure likely accelerates energy surplus and fat accumulation in our mice. Second, LMO4 ablation in other brain regions in addition to the VMH, for example the PVN, is likely to worsen the obesity phenotype in our mice. Although few neurons in the PVN express leptin receptors , the PVN is a relay point receiving synaptic inputs from multiple hypothalamic nuclei to regulate energy expenditure and satiety [29, 35] and the PVN regulates sympathetic outflow to BAT and WAT . In addition, the PVN contains neurons producing important neuropeptides such as oxytocin, corticotropin releasing hormone, and thyrotropin releasing hormone that play an important role in regulating food intake and energy expenditure [37, 38, 39]. Future studies will be needed to know which neuropeptides are expressed in LMO4-positive neurons of the PVN and how ablation of LMO4 in this nucleus affects metabolism. Impaired signaling through the PVN could also contribute to adiposity in the Camk2αCre/LMO4flox mice. Although outside the scope of the present study, the consequence of LMO4 ablation on synaptic transmission in the PVN may reveal additional mechanisms contributing to the metabolic defect in LMO4 mutant mice. The onset of weight gain occurs much later in Camk2αCre/LMO4flox mice (around 12 weeks) compared to two similar mouse models that disrupt leptin signaling, Camk2αCre/LepRflox  and CamK2αCre/Shp2flox  mice, where the obesity phenotype is manifest at 5–6 weeks of age. We reasoned that early disruption of leptin signaling in the ARC in addition to other hypothalamic nuclei might account for the earlier weight gain in these two mouse models. As CamK2αCre transgene is expressed in the ARC, leptin signaling is disrupted in the ARC of Camk2αCre/LepRflox  and CamK2αCre/Shp2flox  mice early after birth. In contrast, because LMO4 is not expressed in the ARC, leptin signaling remains intact in the ARC of LMO4 mutant mice at least at 2 months of age. As adiposity progresses in the LMO4 mutant mice, they become hyperleptinemic and hyperphagic at 4 months of age, indicating that the response to leptin in the ARC becomes defective. It is well-established that hyperleptinemia is associated with hyperphagia and impaired leptin signaling in the ARC . Hyperphagia would contribute to the accelerated weight gain observed at 4 months of age in LMO4 mutant mice. Our findings are likely to be relevant to human obesity. Functional promoter polymorphisms that affect the level of LMO4 expression have been described . Thus, differences in LMO4 expression in hypothalamic neurons might affect leptin signaling and susceptibility to obesity. In addition, LMO4 expression in the brain is dynamically regulated under different physiological conditions: it fluctuates with a circadian rhythm in the suprachiasmatic nucleus of the hypothalamus ; it responds to hyper- and hypo-osmotic stresses in the supraoptic nucleus of the hypothalamus , to sleep deprivation in the cerebral cortex , and to ischemic stress in striatal and cortical neurons . Future studies will need to address whether physiological stresses influence fat metabolism by altering central LMO4 expression. In summary, we present a novel mouse model of early onset adiposity progressing to adult obesity. Our study showed that LMO4 is a novel and regional-specific modulator of leptin signaling that enables selective leptin actions to control fat metabolism. This work is supported by grants from the Canadian Diabetes Association, Ontario Research Fund, Canada Foundation for Innovation, Heart and Stroke Foundation of Canada (Gant-in-Aid NA6301), and Canadian Institutes of Health Research (MOP-179197) to H.–H. Chen. H.–H. Chen is also supported by the Henry J. M. Barnett Research Scholarship and New Investigator Award from the HSFC and by an Early Researcher Award from the Ontario Ministry of Research and Innovation. Z. Qin has been supported by scholarships from the Ontario Graduate Program, the Natural Science and Engineering Research Council and University of Ottawa. We thank Dr. Diane Lagace and the behavior core facility at the University of Ottawa for assistance on locomotor activity measurements by autonomic beam break. We are grateful for Drs. Alexander Sorisky (Ottawa Hospital Research Institute) and Alexandre F.R. Stewart (University of Ottawa Heart Institute) for helpful discussions and reading the manuscript.